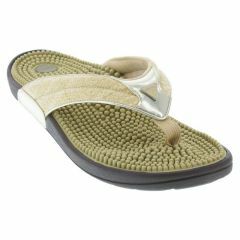 HOW CAN I BENEFIT FROM WEARING KENKOH MASSAGE SANDALS? We’re so glad you asked! Wearing Kenkohs daily, even for short periods, can help improve blood circulation, keep your body aligned, relieve pain in the feet, ankles, knees, legs, hips and back, reduce swelling, relieve stress and enhance your overall mood. Kenkoh revitalizes and rejuvenates your whole body! Kenkoh’s superior arch support helps keep you aligned and prevent foot pain, specially from conditions such as plantar fasciitis. 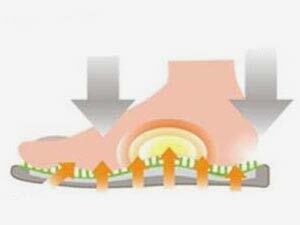 Kenkoh insoles are made up of around 1,000 natural rubber nodules that massage and stimulate the bottoms of your feet. The massaging action, similar to therapeutic acupressure, occurs continuously while walking, standing or sitting. A foot massage with every step! Thousands of nerves corresponding to body organs and tissues are concentrated in the soles of the feet called Sole Reflexive Zones (View Interactive Reflexology Chart). Stimulating these nerves on a daily basis can contribute to improving our overall health. 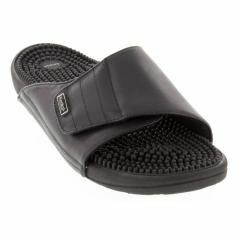 Kenkoh Massage Sandals are uniquely designed to mimic these positive effects of reflexology. 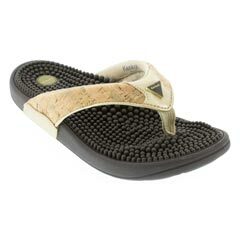 HOW LONG BEFORE I START FEELING THE BENEFITS OF MY KENKOH MASSAGE SANDALS? Right away! Countless customers walk into our stores with foot, knee, leg or back pain, and experience relief as soon as they step into a pair of Kenkohs. DO I RECEIVE BENEFITS WHEN I’M NOT ON MY FEET? 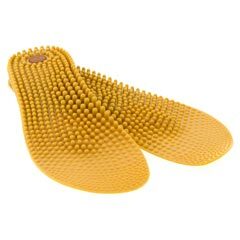 Yes, as long as the soles of your feet are in contact with Kenkoh’s massaging nodules, the nerve endings in the soles of your feet are being stimulated. Kenkohs are especially beneficial for those of us concerned with blood circulation while flying. WHICH KENKOH STYLE HAS THE BEST ARCH SUPPORT? 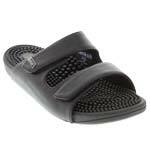 All Kenkoh sandals have the same foot bed and orthotic arch support. DO I NEED TO DRINK EXTRA WATER? 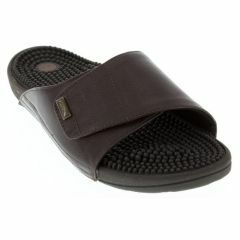 Yes, do drink plenty of water while wearing Kenkoh Massage Sandals. 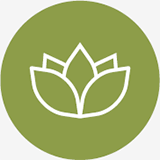 Just like after a massage or reflexology treatment, water aids Kenkoh’s natural detoxifying effects. 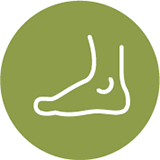 Kenkoh’s massaging nodules dislocate and dissolve sensitivity-causing toxins and waste in the soles of the feet. Drinking more water than usual is believed to help flush them out of our bodies. WILL THE MASSAGING NODULES CAUSE DISCOMFORT? If your Kenkohs feel a bit different from anything you’ve worn before, that’s a good thing. It means the massaging nodules are working to break up and eliminate toxins in your feet, increase circulation and support you with every step. Your arch might be adjusting to the extra support. 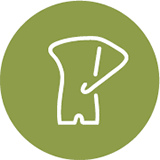 Start with shorter wearing periods (5-10 min) and slowly increase according to your comfort level. You’ll be glad you stuck through the initial period. 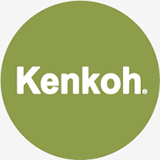 Thousands of happy customers are so grateful for their Kenkohs. ARE ALL THESE BENEFITS WORTH THE PRICE? 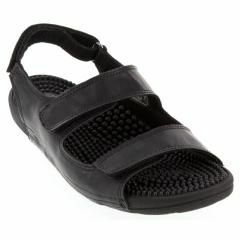 Massage sandals are everywhere and vary in price and quality. Kenkoh, invented in Japan in the early 1950’s, is the Original Massage Sandal uniquely designed to mimic the benefits of reflexology and massage. 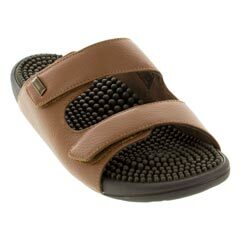 Kenkoh imitations and cheap massage footwear lack arch support, soft massaging nodules and shock absorption. Compared to a $600 cortisone shot and $9,125 for a year’s worth of massages, spending $99.99 – $129.99 once a year to improve your quality of life is quite a deal! Every body needs a Kenkoh, and we strongly believe that you owe it to yourself to give Kenkohs a try for a couple of weeks! Our 14-day trial guarantee simply asks that you keep and try your Kenkoh Massage Sandals each day for 14 days after you receive them. After you have worn them for at least 5-10 mins twice a day for 14 days, if you are not completely satisfied, you may return them for a full refund. Refunds will be granted starting at 14 days after purchase and up to 30 days after that. The sandals should be in their original, undamaged packaging. 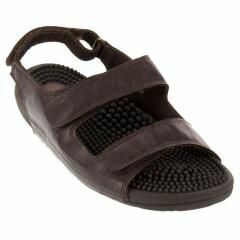 WHEN I’M NOT WEARING MY KENKOHS, WHAT ARE SOME OTHER HEALTHY OPTIONS FOR MY FEET? 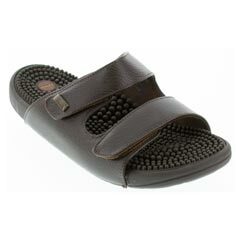 When it’s time to take off your Kenkohs, try slipping into other supportive footwear from renowned companies like Finn Comfort, Birkenstock, Dansko, Aetrex and Vionic. Especially if you have experience with plantar fasciitis, keeping your arches well supported whenever you’re on your feet is important for healing and prevention. 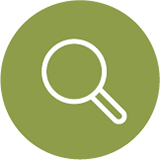 CAN YOU TELL ME MORE ABOUT THE CLINICAL STUDY? Everyone responds to Kenkohs differently. 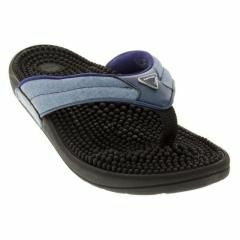 Most people require some break in time as the feet acclimate to Kenkoh’s arch support and stimulating massage. 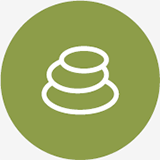 Many of our customers report high levels of comfort from the outset. SHOULD I WEAR MY KENKOH’S EVERY DAY? Yes! Wearing your Kenkohs daily, especially after having been in other shoes like heels, closed dress shoes or boots, is therapeutic for your entire body. 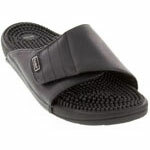 You might even find yourself looking forward to the moment of slipping them on after the gym or long day on your feet. Additionally, walking barefoot on hard surfaces can cause damage to the feet and even activate plantar fasciitis. 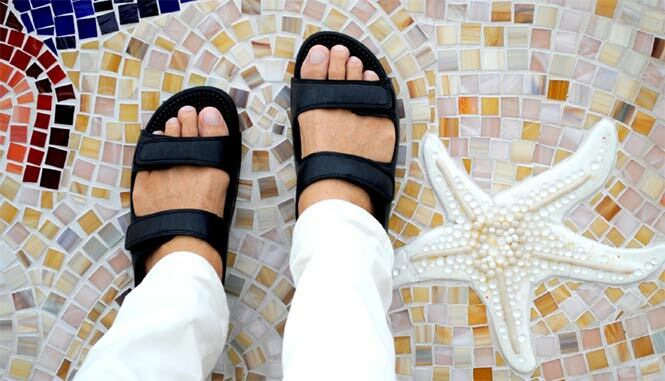 Kenkohs, with their orthotic arch support and gentle massage, are great around-the-house sandals for those of us with wood, tile or concrete floors. 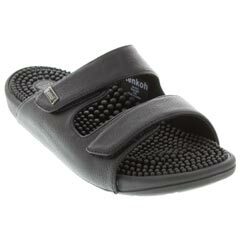 WHEN IS THE BEST TIME TO WEAR MY KENKOHS? Really, any time of day is good to reap the health benefits. 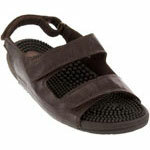 For a boost of energy, you might wear your Kenkohs during your morning rituals or when you return home from work. If you are a yogi and wish to extend the benefits of your practice long after you leave your mat, try slipping them on afterwards. Kenkoh is a perfect companion for air travelers who are concerned about blood circulation while flying. 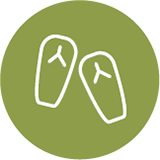 Until you grow accustomed to your Kenkoh Massage Sandals, it is recommended that you wear them 5-30 minutes, two or three times a day. 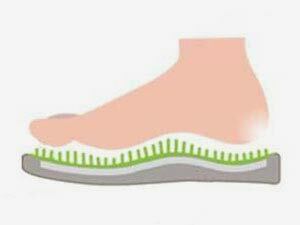 If you have sensitive feet, try wearing socks in the beginning. 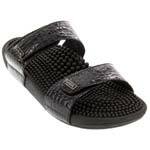 Generally, it takes three days to three weeks to adapt to Kenkoh sandals. Once accustomed, extend wear time at your own pace. 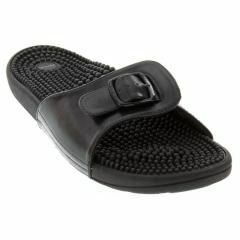 Although Kenkoh Massage Sandals are designed for periodic daily use, many people find them comfortable enough to wear for hours at a time. CAN I WEAR MY KENKOH’S OUTSIDE? All Kenkoh Massage Sandals can be worn outside. 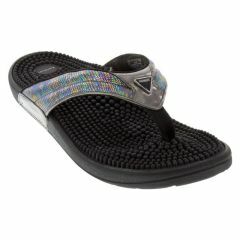 Styles with polyurethane outsoles (Aura, Lotus & Luna) are a little more durable those with EVA. 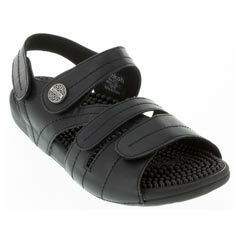 Brush the sandals gently to remove dust and sand. When dust gets between the nodules, try using a vacuum to remove it. Avoid submersing your Kenkohs in water. 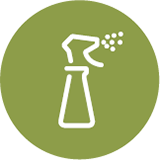 To remove stains and spot clean, use an old toothbrush and mild soapy water. 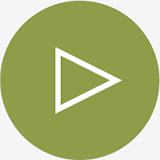 After washing, dry with a soft cloth and set them on their side in a well-ventilated place away from sunlight to dry. WHEN SHOULD I REPLACE MY KENKOHS? When you see deep depressions forming under the heel or ball of your foot, or when the nodules begin to wear away in these areas, it’s time to think about getting a new pair of Kenkohs.